Hi, I'm Radhika Mehta and I'm getting married this week. I work at Goldman Sachs, an investment bank. Thank you for reading my story. However, let me warn you. You may not like me too much. One, I make a lot of money. Two, I have an opinion on everything. Three, I have had a boyfriend before. Okay, maybe two. Now if I were a guy, you'd be cool with it. Since I am a girl, these things don't make me likeable, do they? 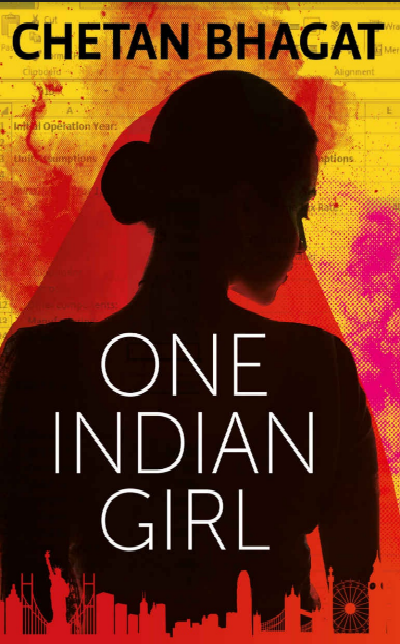 Bestselling author Chetan Bhagat, writing for the first time in a female voice, brings to you One Indian Girl, the heart-warming story of a modern Indian girl.